I’m sure many of you have a big soft spot for C.O.C.‘s Blind album, and in that regard, I’m no different. It’s become a genre classic and been showered with endless accolades since it’s release almost 25 years ago (that metal is olde!). A big part of the album’s appeal for me is Karl Agell’s gritty, tough-as-nails vocal performance. He was by far the best vocalist C.O.C. ever had and it’s a perpetual bummer he recorded but one album with the quasi-iconic band. 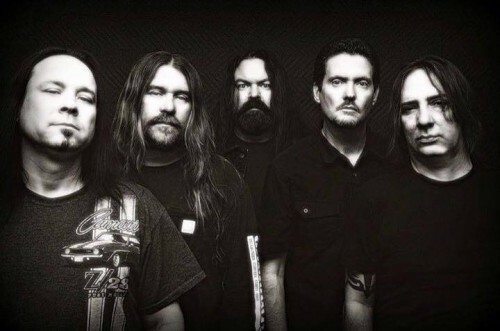 Since his departure way back in 1993, Karl toiled in several minor bands, most notably, southern rock/stoner act Leadfoot, but for the most part he remained below the radar and out of sight of the metal world. 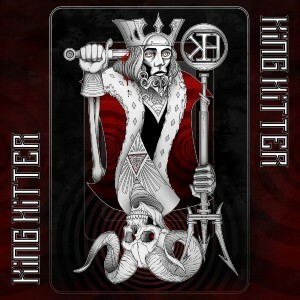 After such a long absence, it was quite the happy surprise to get a promo from his new project, the awfully titled King Hitter. Their self titled debut EP isn’t a reboot of his Blind days, focusing instead on a punchy amalgam of hard rock, metal, alternative rock and yes, even a bit of nu-metal (gasp!). Remain calm, all is well! The band’s eponymous track comes out the gate hard with big burly riffing right off an Orange Goblin or Fireball Ministry album and Karl’s voice provides maximum muscle, spit and grit. It’s a barroom-ready power anthem walking the line between aggressive stoner metal and straight-up metal, and it’s very immediate and accessible without sacrificing heaviness (although it reminds Madam X of The Offspring at points). “Drone Again” is a bit harder to pigeonhole, borrowing a page from C.O.C. but also incorporating riffs that remind me of Disturbed and even Alter Bridge. It works because the band knows how to sell it, and Karl owns it completely, sounding sincere as hell. The best moments come during “The End” which rocks the same southern swagger as Floodgate and Down and could easily have appeared on any of the latter’s albums (and most of C.O.C.‘s as well). It’s the closest they get to a Blind revival and triggers even more chronic bummation that Agell and C.O.C. parted ways so soon. The remainder of the EP is solid, but less impressive, with “Feel No Pain” being an aggressive up-tempo rocker relying on the vocals to carry the action. It’s enjoyable but a little nondescript. The awesomely titled “Suicide (is the Retirement Plan)” has an interestingly rugged mid-paced grind with moments that feel like Foo Fighters trying a Pantera ballad, but it’s missing something that would make it stick. The big take away from this teaser EP is that Karl sounds great. His powerful, raspy baritone is as good as I remember it and maybe a bit better. It seems he hasn’t lost a step and age has made his voice even more distinctive and sometimes he even has a Blaze Bayley sound to his delivery. He’s joined by Leadfoot band mate Scott Little who plays a mean southern rock guitar, and along with Mike Brown they deliver some surprisingly heavy riffs along with bluesy, sassy solos. The band is tight and they successfully blur the lines between genres, making King Hitter just enough of an enigma to confound expectations. That only deserves props in this day and age. I wasn’t sure exactly what to expect here, but no matter how different his new material may be, it’s great to hear Karl singing again and King Hitter seems a suitably flexible vehicle for him to try his hand back in the metal world. He certainly sounds fired up on here, and that’s a helluva good start in my book. Now get us a big, fat full-length, stat!